Salisbury, North Carolina Real Estate: Market value $200,000 - Sale Price $95,000!!! It's Time to Become a Landowner! Market value $200,000 - Sale Price $95,000!!! It's Time to Become a Landowner! WHAT??? Market value and assessed value of a 10+ acre parcel along a main thoroughfare at $200,294 . . . yet on the market for less than half that price??!!?? YES! 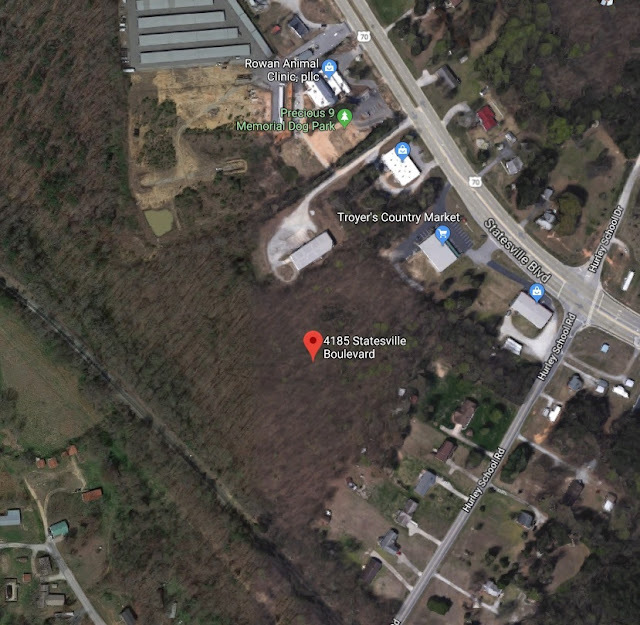 Realtor Greg Rapp with Wallace Realty has just listed this 10.51 acre parcel of land on Statesville Blvd (NC 70 that runs between Salisbury NC and Statesville NC) for $95,000! 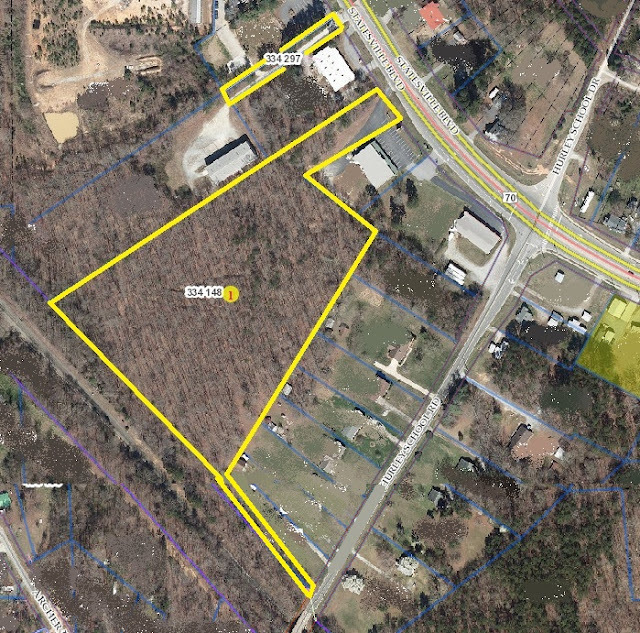 For sale: 4185 Statesville Boulevard in Salisbury, North Carolina! This primarily wooded parcel has approximately 97 feel of road frontage along Statesville Boulevard. The land here is zoned CBI (Commercial Business and Light Industrial). The 98 x 300 foot strip off the main highway leads back and opens up to the large and open 10 acre polygon (approx 700 x 637 x 752 x 327 - there is no survey on file, so the acreage and dimensions subject to survey). A small .25 acre parcel up the road, with a market value of $3,760 is included with the sale (Parcel 334-297). 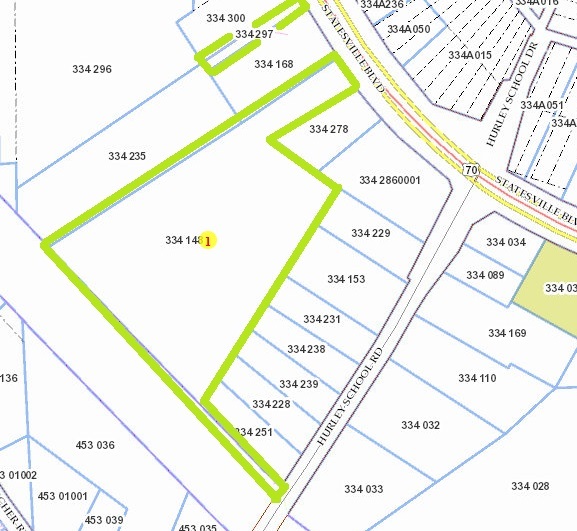 Additionally, an approximately 337' x 11' strip of this parcel leads out to nearby Hurley School Road. What would you do with 10+ acres of land? When you understand what can be done with a property in accordance with your local zoning and planning board, you'll start to realize that there are A LOT of potential options on the table. Let's explore some ideas! And now that you have some ideas . . . how about giving real estate agent Greg Rapp a call: 704.213.6846 . . . because this kind of land value does not come along every day! 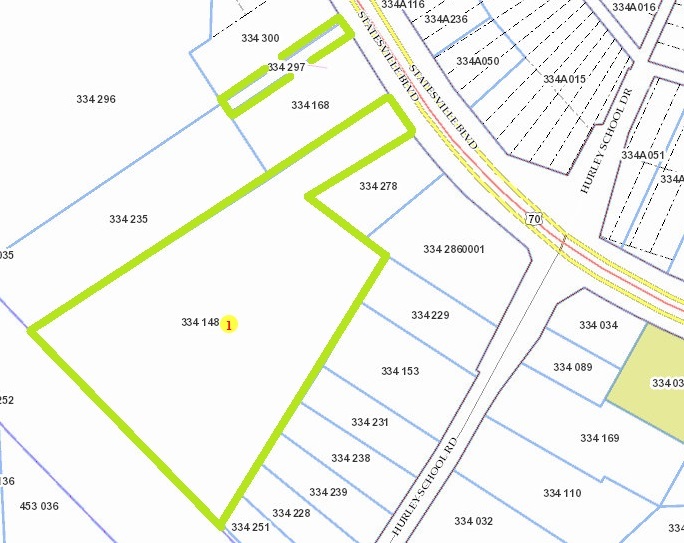 The time is right to become a landowner at 4185 Statesville Blvd.